Are you gonna host the super bowl party tomorrow? Check this recipe out. I know I know, you know how to make S'more. But this is just a fancy way to spicy up your party and entertain your guests. Use graham crackers, chocolate chips and marshmallows. The recipe calls for jumbo marshmallows. I didn't bother going to the grocery store just for one ingredient. 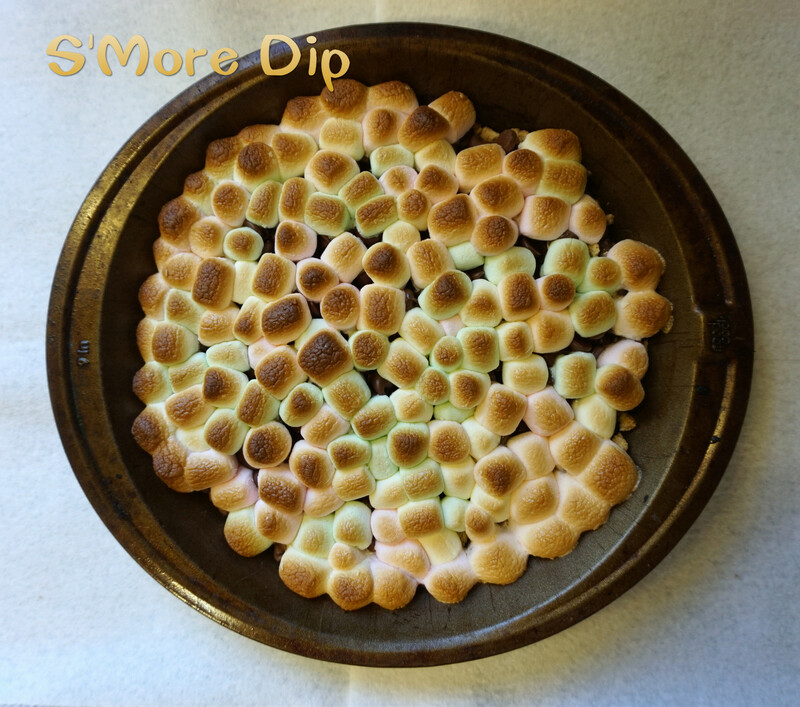 The mini marshmallows turned out just fine. 450F, bake 6 minutes and DONE. Gather your gang and serve. It will be gone before it gets cold. OMG, my photo is not convincing at all. You have to try it yourself. Tips: to effortlessly crumble the graham crackers, put some in a Ziplock bag, and use the meat tenderizer.